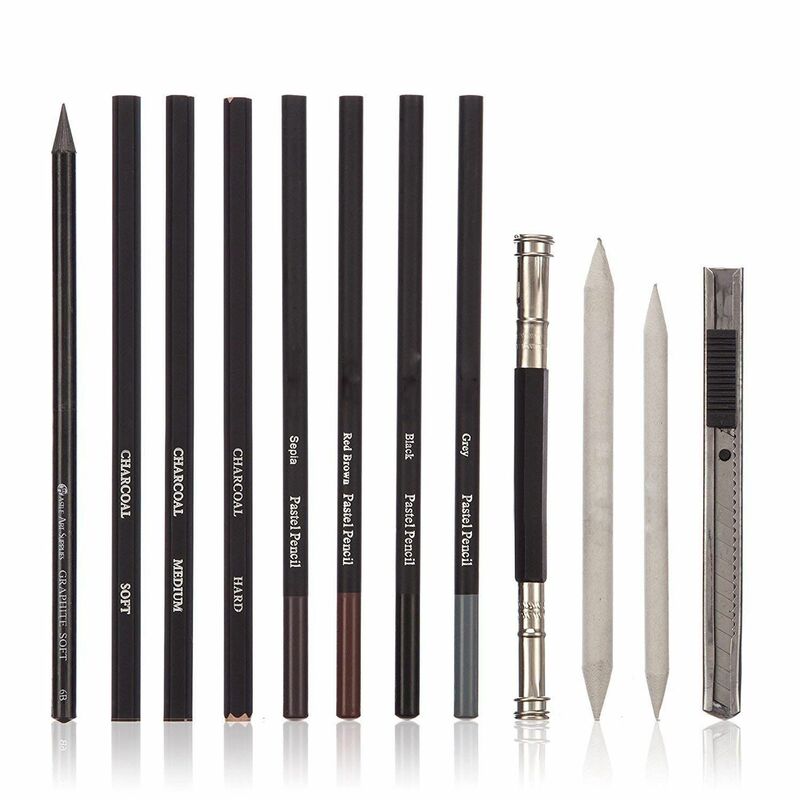 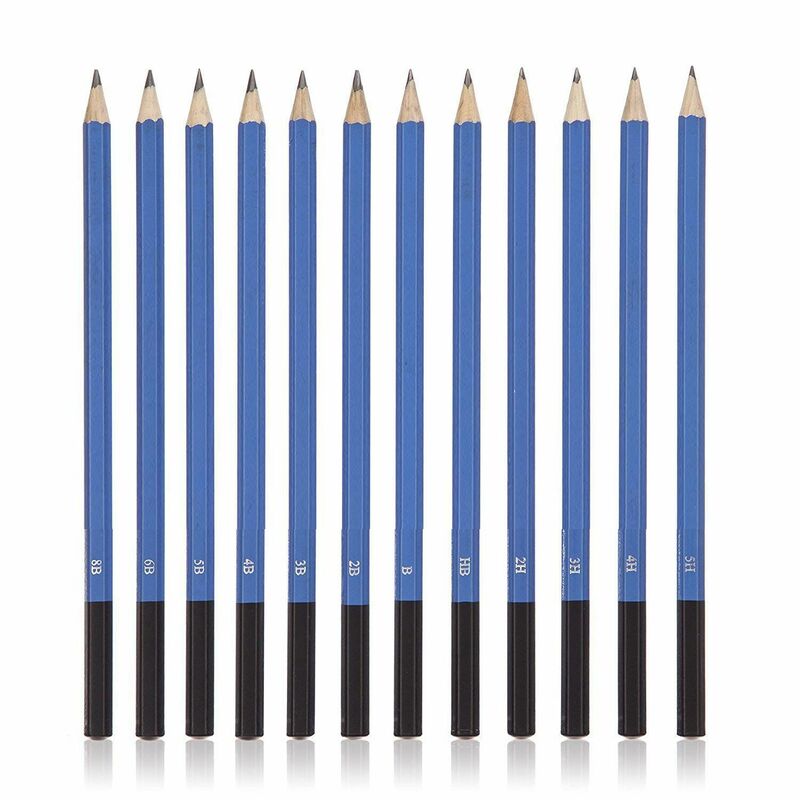 BIGGER, BETTER, COMPLETE – This professional art pencil set comes with 40 total pieces, including graphite, charcoal and pastel pencils, blending stumps and willow sticks; all to help you craft thin, crisp lines, and gorgeous blending and hues. 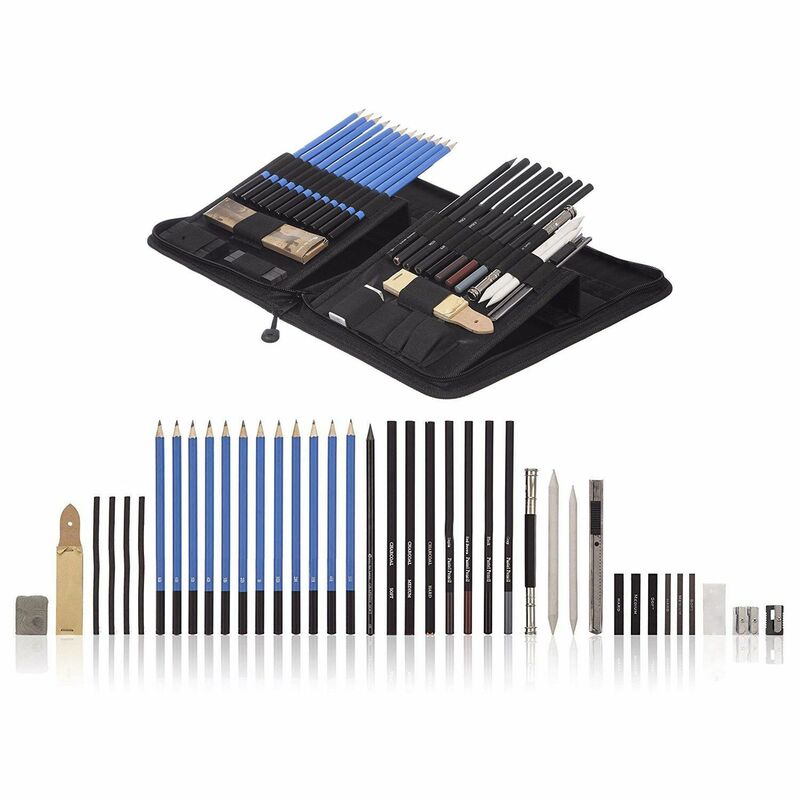 BEGINNER & PROFESSIONAL – A truly versatile art set for kids and adults alike, this organized art kit is great for students working on craft or construction paper, detailed sketching and high-level artistic skills, and even for hobbyists who love scrapbooking. 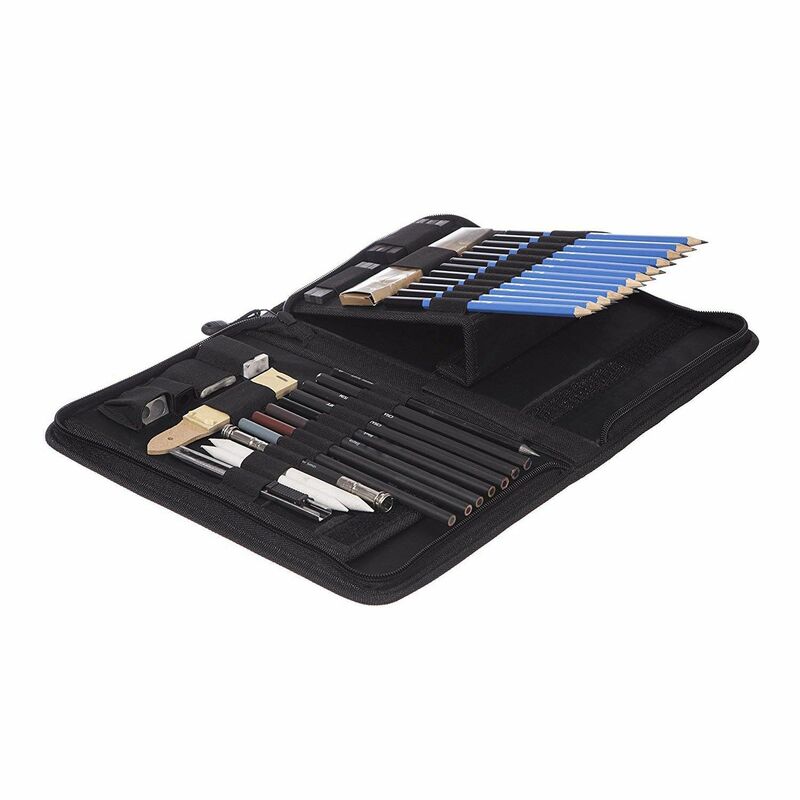 TRAVEL-FRIENDLY STORAGE – The perfect home, school or travel art set, keep all your charcoal pencils, graphite sticks, art knife and more all properly stored when not in use thanks to the included zipper case complete with convenient pop up stand! 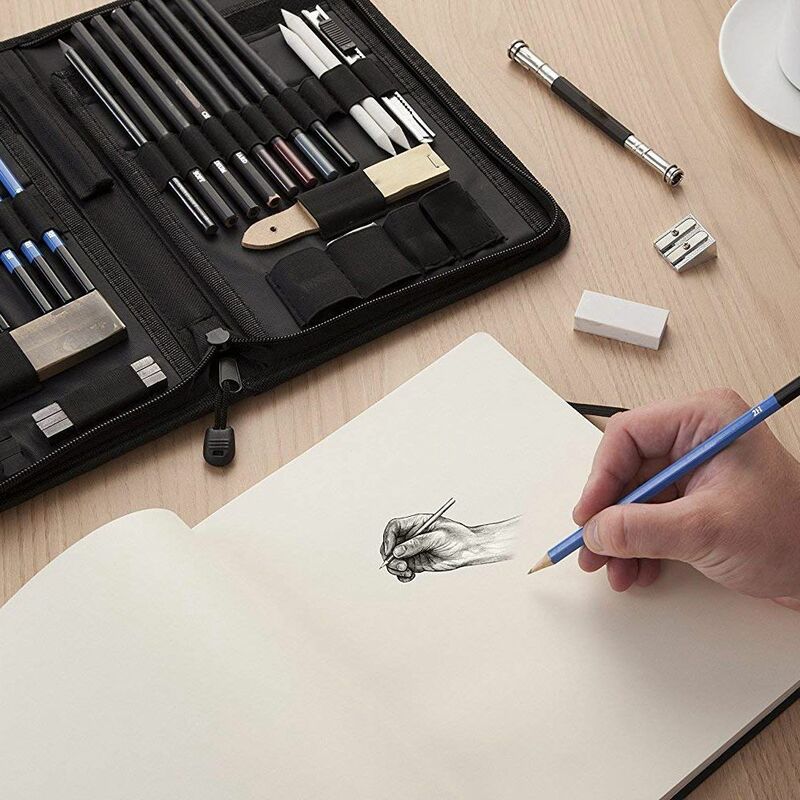 PERSONAL HOLIDAY GIFT – this expansive 40-piece art supplies set with drawing art pencils makes a wonderful Christmas, birthday or New Year’s gift for those who love being creative in the art world.Unleash your creative side with a complete sketching, drawing and designing art set that lets your artistic side shine through. 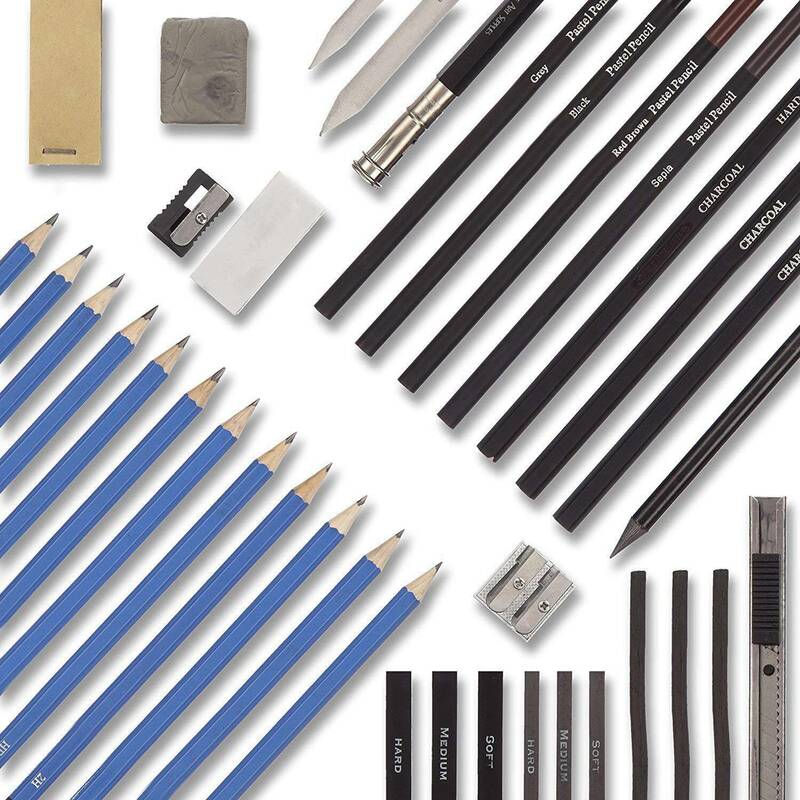 Packed with everything you need to go from basic outline to highly-detailed masterpiece, this travel-friendly art kit contains all the essential graphite, pastel and charcoal pencils to make drawing, shading, blending and sketching efficient and gorgeous.Each of our pre-sharpened pencils and blending tools are made for creating clean, breathtaking details, be it freehand, tracing, stippling, or artistry of your own design.